June 2018, London: nuron Limited announce that Northumbrian Water Limited has signed an agreement to be the first water company in the world to install nuron’s game changing sewer monitoring technology in a live sewer system. The project will be launched at Northumbrian Water’s innovation festival in July 2018. Now in its second year, the festival is testament to Northumbrian Water’s forward thinking, showing how great ideas and innovation can deliver real operational benefits. 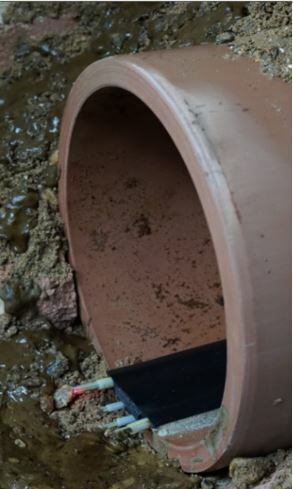 nuron’s distributed, in-pipe fibre sensing technology measures multiple parameters (depth, flow and temperature) along the entire length of the sewer pipes. The dense, real time data acquired enables proactive and predictive management of the sewer system, as Northumbrian Water can resolve issues before incidents occur, providing significant operational, financial and environmental benefits. The nuron system is dual-purpose: it can also deliver secure and reliable fibre communications both for NWL and for cost-effective and efficient deployment of the dense urban fibre networks required for full fibre broadband, 5G and smart cities. The use of the nuron technology forms part of Northumbrian Water’s programme to be leaders in asset management as well as enabling wide spread social, environmental and economic benefits to their catchment.